Last night I went for a jog. Well, it felt more like an uncoordinated shuffle and there was a lot of walking too, but there were a few moments of jogging. I can tell you that this was my first adult run. Ever. The good news is I enjoyed it. The bad news is my legs are achy today, but not as sore as I thought they might be. I know exactly when my sleep disturbances started: when the Shropshire boy moved to Hong Kong before us. I was still living in Melbourne with the girls, solo parenting. There was no Shropshire boy there in the evenings to remind me when it was bed time. This was back in December 2010. Unfortunately, even after I moved to Hong Kong, this did not make getting to sleep any easier. So that is why I am trying running. I hope I can exhaust myself out, and get to sleep easier. I hope it works for you, it can't hurt anyway, being fitter will help in other areas of your life too. Other things that may help too are cutting down on sugar..I've slept much better after doing that..I don't really know why though. What a great idea Cat! I should really try to do the same, but am snowed under at the moment. Good for you! Exercise during the day will definitely help. I've had the same problem as you for years. There are alot of herbal medicines out there that will help too if the running doesn't. Melissa's Dream and Valerian Hops are among the best available and don't give you that horrible hungover feeling the next morning. Hope you sleep tight and have sweet dreams. Cat - I've been suffering from the same thing of late. Staying up far too late. Even when you know the way to make yourself not so tired throughout the day ( a prob I share) it is not always so easy to actually have the willpower to do something about it. Well done! Love to know how it goes. Oh good on you Cat, running is so fantastic for your mind, body and soul. Sounds corny, but it totally is. I started running about 7 years ago. I never liked it before that and was more of a power walking kinda gal. But hubby used to run and I sort of started by jogging along with him. I have never looked back. But it DOES take some getting used to, so don't worry, your muscles and joints will adapt in time. It's worth sticking to it, if you can. Just a few tips too, if you can run on softer surfaces, it's far better for your knees, back and body in general. Less impact and jarring. I personally love sand running the most... but from time to time I run on the horse track at the park near our house... it's just made up of soft dirt, but feels good underfoot. 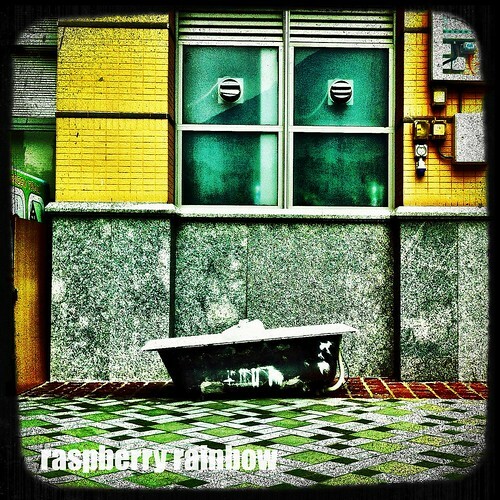 My Raspberry Rainbow Etsy shop is here!